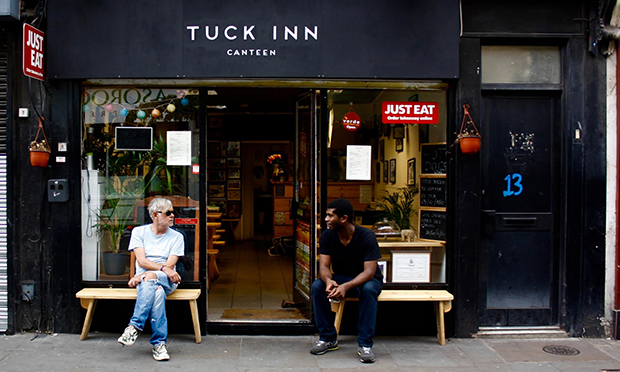 A group of Hackney restaurants will soon be helping the hungry in more ways than one, thanks to a charity food network which launched last month. A campaign cooked up by social enterprise Ernest brings together local eateries to raise money for Spitalfields Crypt Trust and Hackney Migrant Centre, which distribute food to those in need. Until January, participating restaurants will either add a few optional pennies to each bill or to a particular menu item, with the proceeds going towards a year’s supply of food and kitchen equipment for both charities. Paris doesn’t have as many food banks as London or such a developed food distribution network, Tausig explained, so Ernest “really took off”. “It raised €30,000 in its first three campaigns,” she added. Ernest uses targeted campaigns, which run for a certain period of time – often three months – with very specific goals. The strategy worked well when Ernest exported it to Toulouse, and also when the charity teamed up with a Paris mosque close to the Bataclan concert hall – the scene of last year’s horrific terror attack – to promote community cohesion. After Ernest’s rapid success in France, the team began to think about launching its first campaign in the UK, and Hackney was deemed the most fertile destination. But it hasn’t all been smooth sailing, with Tausig admitting that signing up restaurants in the borough has been “difficult”. 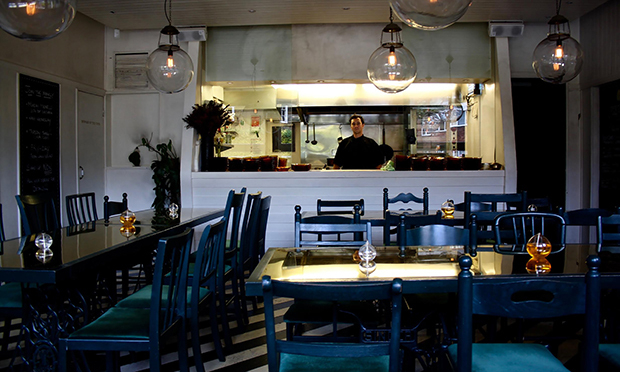 “Even in Hackney, the person making decisions for a restaurant often won’t be there – you have to go through three of four people in the chain of command. Morito, Viet Hoa, Clutch and Tuck Inn Canteen are among the first places to sign up to the so-called “solidarity tax”, with more to be announced soon. A portion of the money raised will support the Spitalfields Crypt Trust’s cookery program, which provides training for people who have been homeless and suffer from addiction or poverty. The rest of the funds will help the Hackney Migrant Centre deliver weekly meals for asylum seekers and refugees. “We want to support charities that are interested in long-term solutions to food poverty. Both offer drop-in food services, but they’re also coming up with lasting plans to help those in need,” Tausig said. Ernest is planning a number of events during the campaign, including supper clubs and foodie talks, which will be run and attended by the restaurants and charities involved. It’s all part of the charity’s plan to engender local relationships and create a self-sufficient, personal model for the community. “It’s local fundraising, with local restaurants helping local charities,” Tausig emphasised. As for the future, Tausig is in preliminary discussions about franchising Ernest’s community-led model and talking to other like-minded charities in London about co-ordinated campaigns. But for now, the campaign in Hackney is giving the team plenty to chew on. For more information about Ernest or if you’re interested in signing up to the campaign, visit the website here.